The uniform of the school gate mum at least a few days a week, a great pair of jeans will make you look and feel fabulous. Apart from occasional forays into floral and coloured jeans, I mostly wear dark denim as it flatters all figures and shapes and matches virtually everything in my wardrobe. 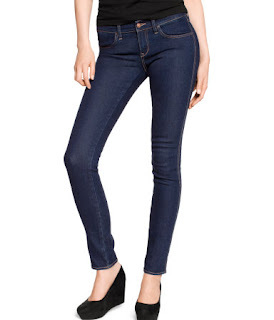 The skinny/bootcut decision is a personal taste one, though I do urge you to try both if you don't already. I get emails frequently from people who tell me they feel they can't wear skinny jeans. Now we're coming into Winter, grab a pair for £9.99 in H&M and pop your long boots over them and you'll wonder why you didn't do it years ago. And you'll be showing off your lovely long boots too! If you've already got the skinny and bootcut going on, how about some more casual rolled up jeans? Again keeping the colour on the darker side of blue..
My three rules about buying denim - Buy Dark, Tight & Long. You should be beating yourself into your jeans as they slacken with time (just like the rest of us). Make sure they are a little longer than you want as they shorten with washing and stick to darker shades. But that's as much as I know, so I now pass you over to Queen of Jeans & Denim Guru, Donna Ida. 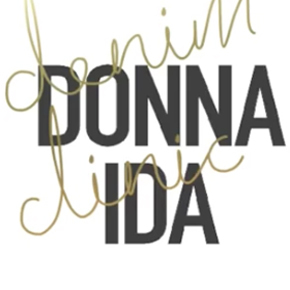 Click on the image below to access Donna's denim clinic where you can click on your body shape and watch a video of which jean shapes will best suit you...hope you enjoy! Couldn't agree more, I love a good pair of skinny jeans! Great selection. I like the first! Totally agree with your comment re skinny jeans and long boots. Love that look. I'm wondering however, if you think the rolled up jeans work on smaller people. Does it not shorten the leg even more? And my other question is regarding the boot cut jean. I've always had a soft spot for boot cut as I think they're very flattering, but you see them on so few people anymore that I just assumeed they were no longer in fashion? I'm in serious need of jean shopping!! Love these suggestions- they are all affordable!